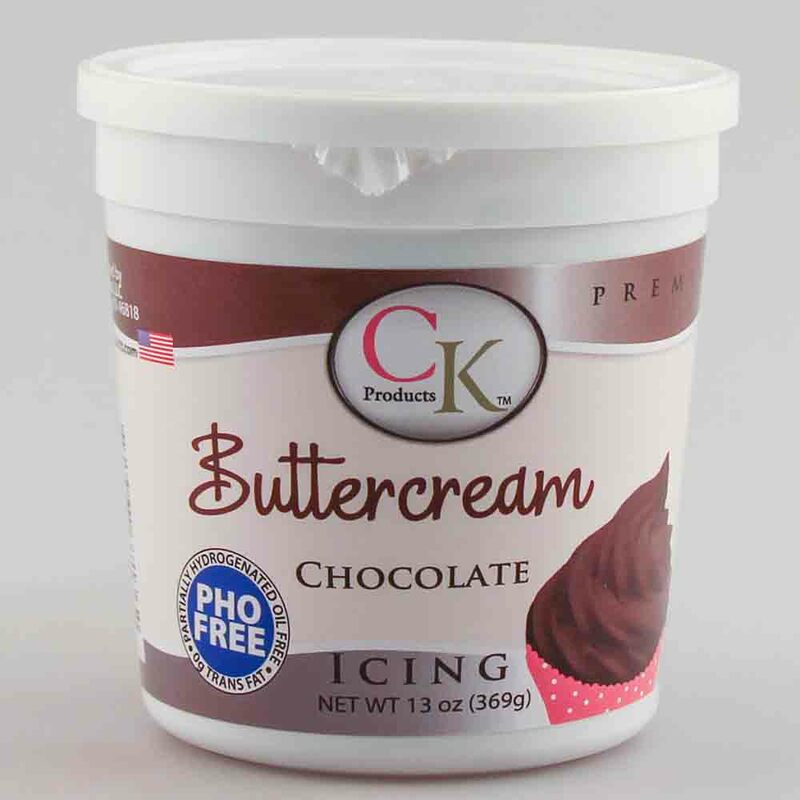 Brand: CK Products 77-7031 Units: 13 oz. tub Great for icing and decorating. For best results, whip before use. Partially Hydrogenated Oil Free. 0g Trans Fat. Shelf Life: Refrigerate for up to 2 weeks once opened. Great for icing and decorating. For best results, whip before use. Partially Hydrogenated Oil Free. 0g Trans Fat. Please note that icing is heat sensitive and product quality may be affected by warmer temperatures. Purchasing cold packs and expediting the order may reduce the chance of heat damage. We do recommend shipping orders that can be affected by heat on Mondays or towards the beginning of the week so the product is not sitting in a warehouse over the weekend. Please be advised: Ice packs only have a significant benefit in the first 24-36 hours and only when shipping in moderate temperatures. ALL FOOD PRODUCTS ARE NON-REFUNDABLE EVEN IF AFFECTED BY HEAT.